Today Adobe Captivate 9 was released. It falls a bit outside the normal release schedule of around 12 months between versions, so what exactly did Adobe use these extra 3 months to do? In this review I’m going to give you a high level overview of some of the things I find interesting in Adobe Captivate 9. It won’t be a detailed review of every single feature, but I cherry picked some of those that I find interesting (and strange). I have been playing around with Adobe Captivate 9 in the beta tests but I have yet to create a full production project in it. In Adobe Captivate 9 it is now possible add one or two additional break points when you are creating responsive projects. Adobe Captivate 9 starts a responsive project with three default breakpoints; Desktop, Tablet Portrait and Mobile Portrait. Another change is that it is now possible to prevent users from using “landscape orientation” when they are using a mobile. This is done by selecting “Disallow phone landscape orientation” in the Publishing settings. You can also provide a custom message to the users. You can now use motion path effects and transitions in responsive projects. It is also possible to define different effects to the same object in different breakpoints. This is one of the new features in Adobe Captivate 9 that I really like. In short it allows you to define various states for an object and then switch between these states based on user interaction, advanced actions and so on. It has always been possible to achieve this effect in Adobe Captivate by using multiple images/objects and Advanced Actions using Show/Hide, but now it is much simpler to work with. This is one area which has been in dire need to rethinking and reworking for a long time. In Adobe Captivate 9 Effects have finally gotten some attention. In Adobe Captivate 8 Effects can be found under the Timing tab when you have an object selected. They are an integrated part of the GUI now as opposed to earlier where it was its own panel. Effects are now shown using icons in the panel and if you hover your mouse over an effect, it will actually “preview” it using your object on the stage. Another new feature is that you can have different effects attached to the same objects in multiple breakpoints. This allows you to fine-tune your project in every breakpoint to ensure that it looks just like you want it to. Another big change is that the effect is now shown on the timeline for each object. This is much better than having the effect timeline separated from the main timeline and makes it easier to visually see and understand how the effect will work. Effects in Adobe Captivate 9 is now shown in the main timeline. And finally.. 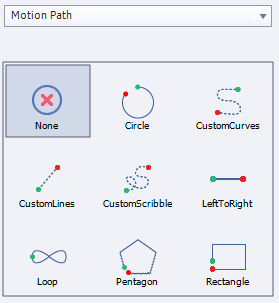 It is now possible to create your own completely custom motion paths using the three new effects: Custom Curves, Custom Lines and Custom Scribble. This will be a real timesaver. You can now add question slides in your projects that will not interfere with your overall project quiz settings, results, points, scoring etc. Earlier you had to build knowledge check questions yourself using click boxes and advanced actions (which did have its own advantages though) but now you can create them quickly and easily using the built in Captivate quiz questions. Once you have created your course in Adobe Captivate Draft, you import the file into Adobe Captivate – apply a theme and publish your completed project. This is one feature I don’t understand. Maybe it’s just me, but I can’t see one single situation – past, present and future – where I would whip out an iPad and start creating a course on it. If *you* use this I would really like to hear from you. Post a comment with your experiences using Adobe Captivate Draft and tell us how you feel it adds value to your production flow. Adobe Captivate 9 gives you the ability to preview your course using SCORM Cloud to work out any SCORM compatibility issues. You can preview directly from within Captivate and get a general health report of your course. I’m not really sure what good this will do other than give you the ability to say “Hey SCORM Cloud says the course is great so why doesn’t it work in XYZ LMS”. Adobe Captivate 9 gives you free access to a library of 25,000+ exclusive assets including games, interactions, layouts, scenarios, people cutouts, and much more, to dress up your courses. The assets store is developed exclusively for Adobe Captivate 9 users, and the library will be updated regularly so that your content always dazzles. This could swing both ways. If the assets are good quality, customizable and useful in many different situations it could be a really positive thing to have access to. On the other hand – if you can’t customize the assets it might not be so hot after all. It remains to be seen which way it will go. So is Adobe Captivate 9 worth it? If you are on a subscription license it is a no-brainer as you will automatically have access to Adobe Captivate 9 so you might as well upgrade. In addition to the new features you will get a lot of bug fixes as well. This alone makes it worth upgrading as you will be able to produce better and more stable content. Also keep in mind that a subscription license gives you the right to use two version of Adobe Captivate with the same subscription. The current version + one version back for the next 12 months. So basically this means that you can install Adobe Captivate 9 and still keep Adobe Captivate 8 installed for the next 12 months legally. This also means that if you have a subscription license and still have Adobe Captivate 7 installed – you can no longer use this and must uninstall it. This is very sad as I still use Adobe Captivate 7 a lot – mainly because of the GUI. 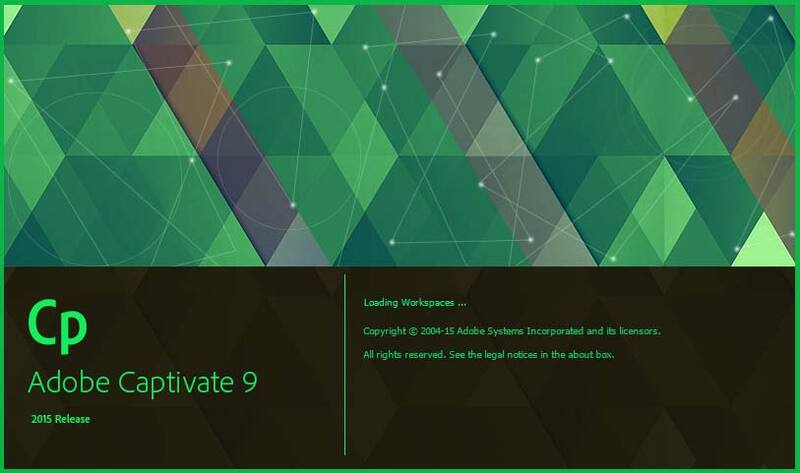 The GUI in Adobe Captivate 8 and 9 is developed to be used with the mouse and you’ll either hate or love this – I am in the “hate” camp and prefer the GUI in Captivate 7. There is a 62.5% increase in mouse-clicks performing a simple operation in Adobe Captivate 8 or 9 vs. Adobe Captivate 7 – that is a lot and if you use Adobe Captivate many hours every day, you will definitely be feeling these extra clicks eventually. Putting subscription licenses and rules aside – is Adobe Captivate 9 worth it? Yes I think so. While the feature list isn’t as impressive and groundbreaking as say the gap from Adobe Captivate 7 to 8, it is still a good release. The changes to Effects in Adobe Captivate 9 are really nice, the knowledge check question is long overdue and Multi-state objects will makes things easier. If the free Asset store delivers some quality assets as well, then things are looking good. I don’t really do a lot of responsive projects so these changes aren’t relevant for me personally. I also find it hard to see myself using the Adobe Captivate Draft app, which is a big part of this release. What do you think about Adobe Captivate 9? Have you had time to try it out? Drop a comment here and share your view. States is an awesome feature that should have been added 2 releases ago. Storyline has had it. Adobe played catch-up with this release, pandering to the powerpointers, instead of widening their lead with regard to HTML5. Shame. I fully agree that this release could have been so much more than what it is. The biggest caveat I have is that the newer versions of Captivate (8 and 9) really aims at providing a tool to create e-learning courses with a “one-size fits all” concept. I really don’t think this is the right way to go with E-learning. E-learning ins’t just about dropping information into Captivate and selecting a nice theme or a few interactions to spice it up. E-learning should be about creating content that is actually relevant to the learner and will help move learners and achieve personal and corporate goals. – Updating old and buggy libraries. Captivate HTML5 output utilizes jQuery 1.6.1, which was released in May 2011.. The most current jQuery version is 1.11.3 or 2.1.4 for the library without support for IE 6,7 and 8. – Optimizing HTML5 output from Captivate. Why is it that if I animate 3 circles using effects in Captivate it plays perfectly well on my computer, but on my iPad Air 2 I get serious lags and timing issues? After all I can easily play 3d racing games on my iPad so why can’t I animate circles? If I develop something in Captivate I expect it to look and work the same way on the device as when I preview it in Captivate. This is not the case now and that is one of the major problems as I see it. I plan on doing a performance comparison of different eLearning tools and plain HTML5 in the near future and will make a post about it when it is ready. More and more I’m given the ammo I need as an instructional designer. I develop but not very often and I’m not a fantastic Captivate developer. What has always amazed me is how easily people are seduced by the “Gee Whiz” ooooooo that’s so cooooool. Ask yourself a core question – how much development have you seen that looked incredible but had ZERO learning value? Here’s something to consider. Captivate 9 – 8 versions since RoboHelp. How many quiz types do we have? Wait, wait they knock my socks off. Are there six or so? I know, I know you can write your own – you can do ANYTHING the possibilities are limitless…really. But how many have time to explore that limitlessness. And when did cute and pretty become evidence based learning? Adobe Captivate 8 allowed us to create responsive courses in three responsive views, but Captivate 9 gives us five responsive breakpoints so now we can view courses in virtually any device view, all in one project! We chatted with Adobe and were assured that Captivate 8 projects would work in Captivate 9 – we upgraded to Captivate 9 — it has been a nightmare. BEWARE: Once you save a project in Captivate 9 you can’t reopen it in an earlier version of Captivate. You’ll be left reworking bugs and other issues in Captivate 9. The first and biggest problem is that Captivate 9 is re-writing scripts (changed from conditional to standard and no longer works)) when you save. I spent hours working with Adobe support to explain this issue, waited almost 2 weeks to hear back from them and they have said that it is a bug that will be corrected when they release an update to Captivate 9. Seriously – re-writing scripts is a HUGE issue — we noticed this with one of our scripts, but who knows how many you may have to update and double check. They have no estimated time frame to fix this. Second, many of our slides with interactions don’t work properly any more. Despite the same project working perfectly in Captivate 8 and being coded correctly, they just don’t work consistently. Sometimes when you click on a button the action is correct, other times it displays multiple text boxes. The response from Adobe is “This is a Project Specific Issue” — they couldn’t tell us what caused it and it worked fine in Captivate 8. They said “this happens maybe 1 in 20 times” – that is 5%!!!!! Basically, my interpretation is that when you upgrade to 9 you may suddenly have slides that don’t work and again — rework is required to get them to work correctly. The “solution” is to copy the slide to a blank project and re-copy it back into your project and apparently it magically will work. So if you upgrade to 9 you have to test every interaction multiple times for inconsistent behavior and then try to get the slide to work. We have switched to Captivate 9 at work as well and upgraded 8 projects we are working on from Captivate 7 & 8 to Captivate 9. We have been encountering numerous issues as well and right now I am actually not a very popular guy at the office (as I pushed the upgrade). We have been seeing problems with effects in particular. If you have a project in Captivate 7 or 8 that uses effects and upgrade this to Captivate 9 then in 9 times out of 10 you are going to be in pain. Effects where objects move to one position to another is suddenly offset in Captivate 9. Furthermore objects that has an effect on it where the effect duration is not exactly 2 seconds (the default value) will no longer look crisp and sharp. Instead the object looks fuzzy and text looks smeared. We also encountered problems with images (PNG’s) not being visible on the stage when we upgraded the project. The object was shown on the timeline and but there was nothing on the stage. In the library the PNG file was “empty” and had 0 in size. The biggest problem we have faced however is that any content we publish from Adobe Captivate 9 in HTML5 format does not work in our LMS when played from an iOS device. At first we thought it was a problem with our LMS but after investigating this in more detail we found out that it was the Captivate 9 published files which caused the problem. We deliver content to clients all over the world so our LMS utilizes CDN (Content Distribution Network) to make sure that end-users download the course content from the closest location to them. Adobe Captivate 9 published content that does not follow web-standards and therefore break the XHR request when distributing content through a CDN. Right now I would not recommend anyone to upgrade to Captivate 9 either. I would definitely wait for Adobe to fix the critical bugs before creating any projects in Captivate 9. I would definitely wait for Adobe to fix the critical bugs before creating any projects in Captivate 9. I’ve been working with Captivate 8. 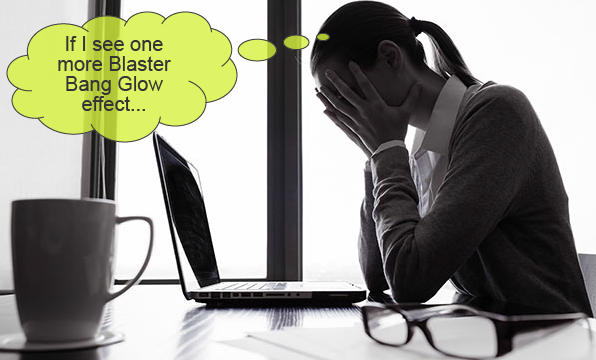 And even with this version we faced problems after publishing in HTML5. It’s not running on iOS devices when you are using an LMS. Now I’m working on a new project using Captivate 9. Luckily the client has no LMS. But producing the content for cell phones is more than a nightmare. It’s not working! The content is jumping around on the screen, changes the font sizes automatically and cost three times more resources than we’ve calculated. Captivate 9 is not worth to buy. We should have programmed everything in HTML manually. We are very disappointed. It looks like Captivate continues to make it very easy for people to create awful learning. PowerPoint slides and multiple choice quizzes don’t help anyone learn. You might as well print a pamphlet and put it on everyone’s desk. 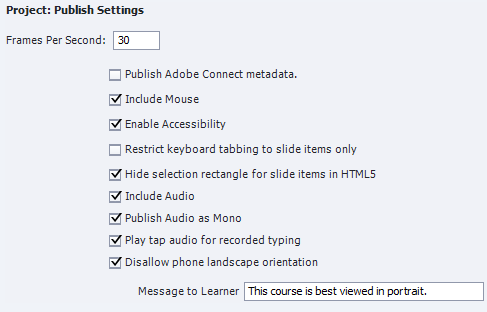 But wait, now the same crappy “course” can be displayed on any device! We’re supposed to be excited about this? I’m embarrassed that this is a popular tool in our industry. It shows just how low the bar is set for quality in corporate training.